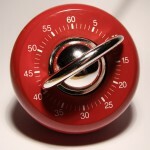 How Much Time Should You Spend Preparing for Class as a 1L? You are here: Home / 1L / How Much Time Should You Spend Preparing for Class as a 1L? I’ve been getting a lot of questions lately about a common 1L concern: How much time should you spend getting ready for class? It’s going to vary a bit, of course, depending on how much reading your professor assigns in each class, but we can come up with some reasonable guidelines, I think. One school of thought says you can never spend too much time preparing for class. More is always better, right? It’s important to keep in mind that class prep is only one piece of the puzzle. You need time now to review your notes and think about the material and — very soon — you’ll need time to prepare exam prep materials, take practice exams, and work on your writing skills. If you’re spending all of your waking hours just getting ready for class (and going to class) when are you going to do these other — arguably more important — things? How Much Time is Too Little? On the other side of the spectrum, some law students believe that they can spend almost no time getting ready for class, if they just find the right supplement, old outline, or so on. As a 1L, it’s important to make a good-faith effort to do the work you’re assigned. Why? Because otherwise you’ll never develop the basic skills you need for success as a law student, and as a lawyer. Imagine you’ve graduated from law school and gotten a job. Your boss comes in and asks you to research an esoteric point of contract law. You blew off Legal Research & Writing your 1L year, and hardly did any work in Contracts. You understand nothing that he’s saying. You have no idea how to get started, and it takes you two hours to read every case you find (not that you really understand them anyway). You do a lousy job on the assignment, and he fires you the next morning. Your course load is fairly light this first semester for a reason — to give you time to develop the skills you’ll need later. If you don’t spend enough time preparing for class, you’re passing up a golden opportunity (and you’ll probably live to regret it). How Much Time is Just Right? So, Goldilocks wonders, what’s the right amount of time to spend preparing for class? Doing the reading. The most basic task you need to accomplish before class is to actually do the reading. In the beginning, this may take quite a while (much longer than you’d expect). In the early days of law school, I often found I could only read 10 pages per hour. Compared to any other reading I’d ever done, that was incredibly slow! But it did give me a benchmark. If I had 20 pages of reading to do, I knew it would take about two hours. If you’re not sure how long your reading takes, try tracking it for a few days. Chances are good that it’ll vary by class, so just make a note of how many pages you read in each class, in what amount of time. After a week or so, you’ll have a pretty good idea how long the reading will take in each class. When you make your study plan for the week, multiple your hourly rate by the number of pages assigned, and you’ll have a pretty good baseline minimum for the amount of time you’ll need to spend preparing for each class that week. Briefing. Whether case briefing is worth the time investment is a personal call. Some people swear by it, others think it’s not worth the time. 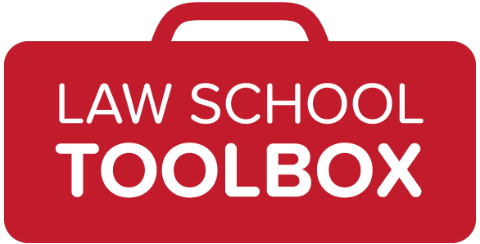 (Personally, I never wrote out case briefs, but my Law School Toolbox co-founder loved using them.) If you find that you’re spending way too much time preparing for class, briefing is an obvious place to cut back. A case brief should be brief! Force yourself to summarize a case in no more than half a page (or even in just a few bullet points), rather than retyping half the case into your notes. Shorter actually is better in this case, since it forces you to identify the most important issues and put them into your own words, rather than just mindlessly copying from the text. Getting the big picture. Depending on how your brain works, you might find it helpful to read an overview of a topic area before class (or your textbook might contain an overview). If this is helpful for you, do it, but don’t go overboard! It’s fine to read part of a hornbook or commercial outline, but don’t try to read the entire thing! Keep your attention focused on what you’re actually talking about in class that day. Spending more than a few minutes on this is probably overkill. Remembering the details in case you get called on. If there’s one place students tend to spend too much time, it’s here! Yes, the Socratic method can be stressful, but it’s pointless to try to anticipate every question that might come up so you can prepare an answer in advance. Class is intended to be a learning experience. It’s okay not to know every single answer, all the time. That’s why you’re there. Your job as a 1L is to make a good-faith effort to prepare for class (by doing the reading, making some notes or case briefs, and thinking about the material). Your job is not to know every single detail of every single legal doctrine in advance. (Nor is it to memorize every single fact. These are in the book if you need to look them up.) Tempting though it may be to focus on “what you’ll say if you get called on,” this is not the most important task to spend time on. If you don’t believe me, wait until first semester grades come out. 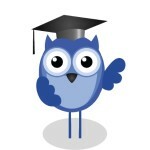 The best grades rarely go to the person who sounded really smart in class. Putting all of this together, let’s do some math. Say you have two classes a day, with 20 pages of reading assigned in each. That’s 2-3 hours of class time, with 2 hours of reading time per class (so, 3+2+2=7). If you spend an hour working on case briefs and getting the big picture for each class, we’re already at 9 hours of class prep + class time. If it’s a three-class day, you’d have thirteen hours of work to do, including attending class (4+2+2+2+1+1+1=13). If your professor assigned more than 20 pages, you’d have even more work to do! This stuff adds up pretty quickly. As a rule of thumb, therefore, spending more than 3 hours preparing for any one class is probably too much. Sure, some days you’ll have a ton of reading, or it will just go more slowly than normal, and you might spend more time. But pay attention to your averages. If they’re substantially higher, it’s time to evaluate your class prep strategy, because you’re not going to have sufficient time to get ready for the main event — the final exam! How much time are you spending on class prep? Do you feel like it’s too much? 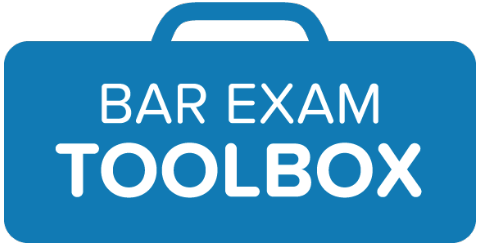 If you’re not sure what you should be spending time on as a 1L, you might find my new project helpful: Law School Toolbox. We’ve just launched a new Members area with a detailed, step-by-step guide to the entire law school experience. Take a look! Image by cybersnot via stock.xchng.